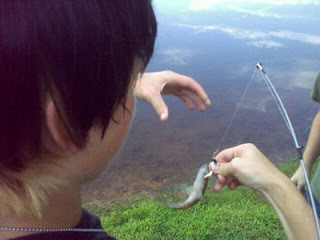 Here is a picture of my oldest son's "big catch" - we threw it back. Just out relaxing at my in-law's place. That looks more like bait to me.